Coed Varsity Archery · Mar 24 South Region NASP Archery Championships were on target! 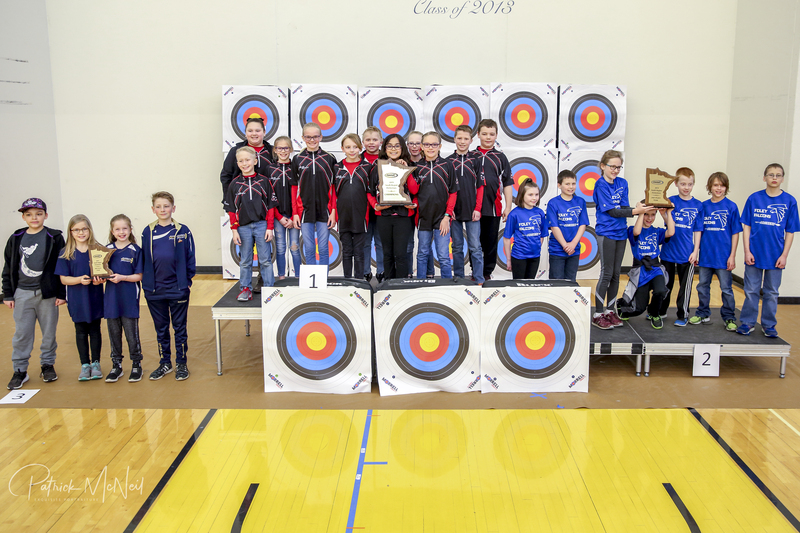 Over 750 archers from across the southern half of Minnesota competed in the Minnesota State South Region NASP Archery Championships on Friday night and Saturday at St. Croix Preparatory Academy in Bayport, MN. The archery tournament was highlighted with two high school girls having a “shoot-out” because they tied in the regular competition with 291 points each. In order to break a tie, these two archers shot five arrows in the target in front of the standing space only crowd with the highest score winning the tie-breaker. 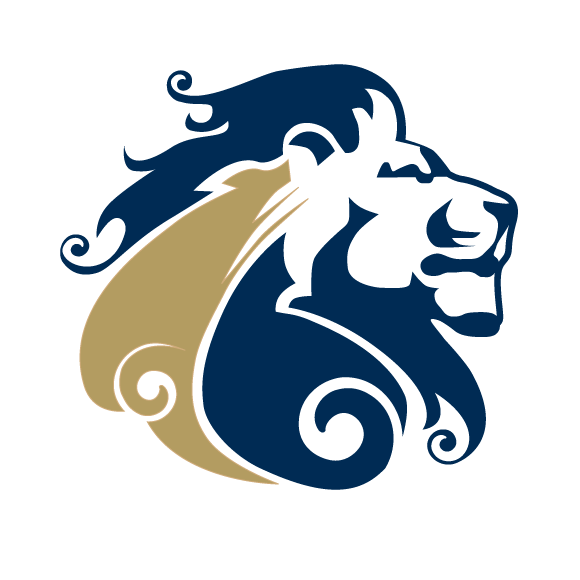 You could hear a pin drop in the gym, when Haili Kuester, Senior at St. Croix Preparatory Academy (SCPA), and Jaden Evenson, a Senior at Foley High School, shot their five arrows. Jaden Evenson won by one arrow being less than a centimeter closer to the target center. In the team competitions, SCPA’s high school and elementary teams took third place in their respective divisions during the regional competition. The middle school team took 5th in their division. The high school team scoring 3,347 pionts was led by Haili Kuester with 291 points, Teagan Sloan with 285 points, and Gavin Stanislaw, Isabelle Hernandez, and Elizabeth Heying with each shooting 282 points. The elementary team scoring 2,855 was led by Andrea Pugh with 266 points, Kaden Gregg with 250 points, Gabbi Sachs with 250 points, and Larson Sather with 249 points. The middle school team with 3,233 points was led by Erin Hilgendorf with 278 points, Lydia Feldhahn with 277 points, Nicholas Stankiewicz with 275 points, Alexandra Christensen with 274 points, and Drew Schutte with 273 points. The head coach for SCPA’s archery teams is John Slate. Foley High School and Middle School won their respective divisions and Milaca Elementary School won the elementary division. The competition was especially intense at the high school level as the top 3 teams were within 32 points of each other. SCPA had five archers achieved perfect 50 scores. A perfect 50 is when all five arrows are bullseyes in a round. Jackson Sather and his target partner scored a perfect 100 on their target in the second scoring round at ten meters. It is very rare that all ten arrows go into the bullseye on a particular target during a competition. Other perfect scores beside Sather were earned by Ben Twohy (Sr), Gavin Stanislaw (Fr) , Jaxon Most (8th), and Teagan Sloan (Sr). This was the final tournament at SCPA for eleven seniors: Kennedy Dunnick, Victoria Frafjord, Emilie Greene, Drew Grondahl, Niccolo Jeanetta-Wark, Haili Kuester, Noah Peterson, Wyatt Reller, Teagan Sloan, Theresa Stanislaw, and Ben Twohy. Various exhibitors participated in the event this year including Minnesota State Patrolman Schneider and his K-9.